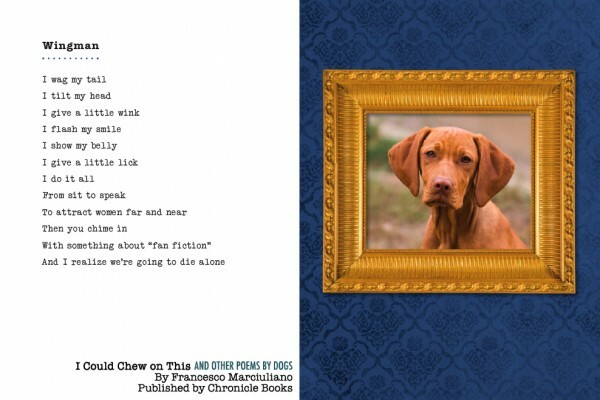 Last year, the world was taken by storm by Francesco Marciuliano's I Could Pee On This: and Other Poems by Cats, reviewed here in January, 2013. 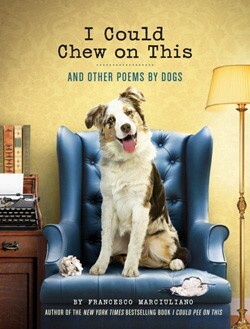 This year, Marciuliano has followed up with the ever-so-slightly less clever I Could Chew on This: and Other Poems by Dogs, featuring an awful lot of poems about chewing, eating and throwing up, as well as things like dog embarrassment, separation anxiety, and more. 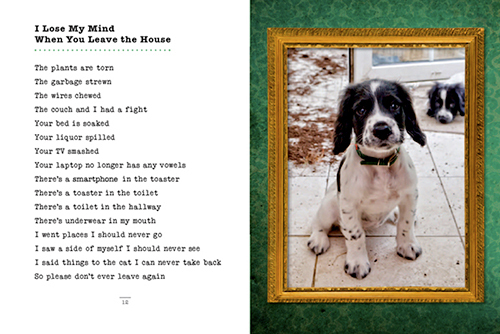 When it comes to capturing dog thoughts to perfection, one of my favorite poems in the book has to be "Time", which is found in Chapter Three: "By Your Side". Do you know how long you've been gone?! Because of "I Lose My Mind When You Leave the House" alone, I've already thought of someone I need to buy this for. I'm not all that into novelty books, but these are pretty darn funny. Dude's got pathos down pat.